spam収集実験アドレスの状況報告(Season 3/第1週 2016/05/04-2016/05/11) - 以下省略! 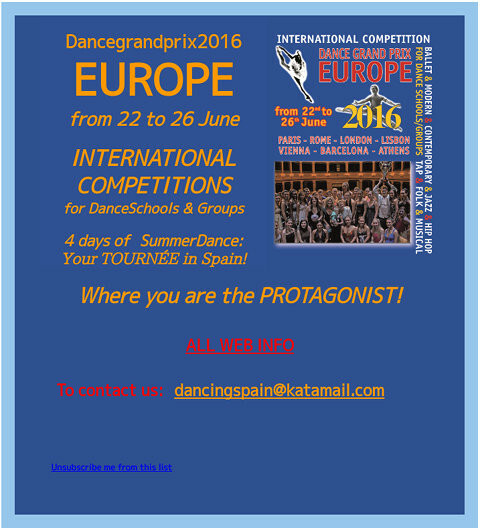 イベント等 1通 Subject: DanceGrand Prix in Barcelona June 2016, Competitions for DanceSchools and Groups from all over the World. Any Level & Any Division Welcome!